Is there any more agonizing cinematic experience than sitting the theater watching a movie and instinctively recognizing that the movie is so close to working but it never quite realizes that moment. It's like going to your favorite restaurant, ordering your favorite meal, but a key ingredient has sat on the shelf a few days too long and has lost that kick. Or listening to your favorite song but the musician's instruments are just barely out of tune. That was the experience I had recently when going to see two films that were almost tailor made for my sensibilities Yet both failed to make their mark, and despite teetering on the edge of my fullest engrossment, they faltered and flatlined at just the wrong moments. The two films I'm referring to are The Master and Seven Psychopaths. The Master by all accounts should have been a bit of a tee ball game for earning my absolute affection. It's directed by Paul Thomas Anderson, of whom I immensely adore several of his works (Punch Drunk Love has always felt better to look at than to have experienced). The film is spearheaded by actors that I have the utmost respect, if not at times utter captivating bewilderment, for. It is centered around a topic that I find captivating from an intellectual point of view, and has all the opportunities in the world to explore it. However, throughout the entire viewing I couldn't shake the feeling that The Master is a film in search of a purpose for existing. While its characters battle their own place in the greater cosmos, The Master seems less assured of itself. More like its main character the movie jolts itself from tone to tone, purpose to purpose, plot point to plot point; a massive puzzle with all of the pieces in place but the connecting bits unceremoniously cut off by a mischievous child. As such when we reach our final confrontation. The final battle of wills between our two focal points. The power of the moment fizzes rather than sizzles. 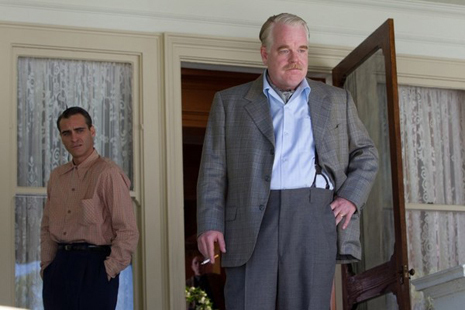 Despite what I feel is one of the best shot, written, acted, and choreographed sequences in not just the film, but in any film I've seen this year, The Master just can't quite make it all come together to give that moment all that it deserves. 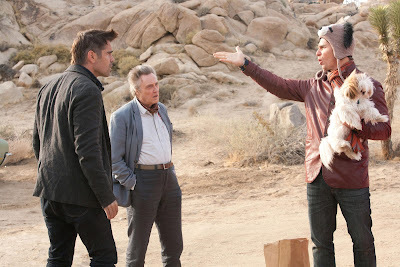 Seven Psychopaths was another film I would have considered an easy layup in the Univarn best of the year contender category. Martin McDonagh's In Bruges is a film that has aged absolutely pristine on subsequent viewings for me. The cast is full of people in all the roles I think they are absolute masters at. The commercials were tantalizing. The reviews were great. The feedback was quality. The movie... I don't know what went wrong. Well first, let's talk about the commercials. Basically the commercials for Seven Psychopaths are The Men Who Stare at Goats of 2012. They show basically all the funny bits. Just about every last bleeding one of them. And given that I'm smack in the middle of this film's target demographics, they were shown on a seemingly infinite loop during my usual television viewing hours. So imagine my rather saddened realization as the credits rolled and it came to my attention that I just spent two hours basically waiting to see the setup for the moments I had already seen in the commercial. However, Seven Psychpaths wasn't an entirely wasted affair. Nobody does little bit wonky better than Sam Rockwell, perhaps save Christopher Walken, and with both of them together you know it's just going to be interesting when they're on the screen. I also prefer Colin Farrell in these sort of referee style roles. He's less a character and more the glue meant to keep everything within a safe distance from the film's center as each character takes great pains to move outside and into their own realm. Even the start of the movie had me reeling and ready to rock and roll. But from there on out it was just parade of hits and misses, highs and lows. Never quite finding the right tone to place itself in perfect unison with my own. Still, I couldn't help but walk away from the film with the belief that the film will work for me on a subsequent viewing. This is a feeling I cannot claim to have felt for The Master. No, in the end Seven Psychopaths ultimately felt like an enjoyable experience gone awry, whereas The Master felt like an appreciable effort gone estranged. Perhaps in time I'll come to hold both to a higher form, but for now they'll slumber in the wormhole that is the realm of underwhelming.